A man from Georgia has been arrested after rescuers discovered hundreds of dogs had been living in horrific conditions at his property. 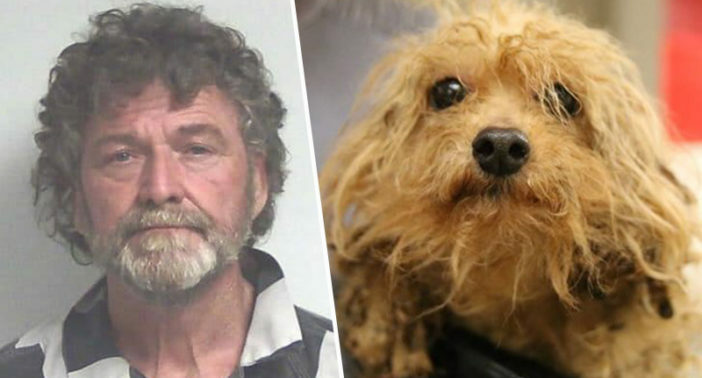 58-year-old Craig Gray, from Nashville, ran a breeding business called ‘Georgia Puppies’, but voluntarily surrendered over 630 dogs last week after telling a Georgia Department of Agriculture inspector how he needed help and could no longer look after the dogs. Gray is now facing multiple pending charges ‘for the cruel treatment of these dogs and obstruction’, and was arrested following a ‘thorough search of Gray’s residence and kennel’ on March 7. Gray is now booked in the Berrien County Jail pending charges, and it is unclear at present exactly how many charges there will be. On Thursday March 7th, a week after the Georgia Department of Agriculture came to the Berrien County Sheriff’s Office and advised Sheriff Ray Paulk that they had done an inspection on the business of Reason Craig Gray, the Department of Agriculture called the Sheriff and advised that they had spoken to Gray and he admitted he brought more puppies back to the Barney Parker Road Property. Investigators with the Berrien County Sheriff’s Office immediately obtained a search warrant for Gray’s business known as “Georgia Puppies” and executed it with Berrien County Animal Control on standby. Throughout the course of the search, a further 85 dogs were rescued. As reported by The Huffington Post, the rescued animals are now being cared for various shelters and rescue groups in the region. There are many questions yet to be answered and one huge one is how this licensed pet dealer was allowed to have an operation with this many beautiful creatures to be able to populate to the point of being out of control and inhumane. We are currently obtaining more documentation from the veterinarian examinations, retrieving statements, and reviewing the Georgia Department of Agriculture’s reports. These dogs have been living in crates their whole lives- one tiny crate stacked on top of another. They’re matted, covered in feces and have never been held or walked.